Bali is Indonesia most Friendly Island for visitors, a magical famed Island of the Gods for those who would want to feel the enchanting temple ceremonies and get mesmerized in amazing dance performances. It is only your own fortitude that would limit you from every exciting activities here, foods from professional chefs are available for you to taste. You can take a chill Bintang during sunset and there is an epic nightlife for you to experience. 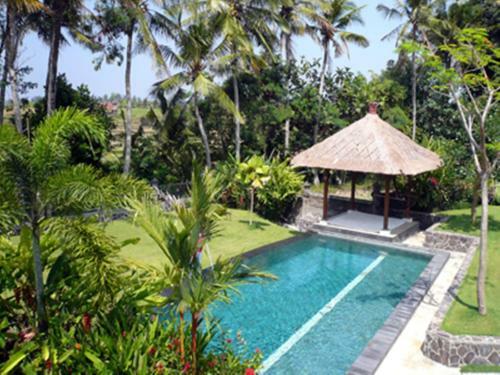 Travel to Bali and enjoy an affordable air ticket, hotel and car booking and airline booking. There are lots of historical, archaeological and cultural attractions that await you when you are in this small island and it has become one of the world’s most popular holiday destinations. You can visit the bustling city of Denpasar where the administrative center and the transport hub are located in the island. If you would want to have a great night life, the coastal town of Kuta is the perfect location for you. A lot of visitors would love to visit the black volcanic sand beaches in Lovina. There is no time you come here that you would not see exciting water activities for you to get involve in. In Padang Bai, you have the opportunity of eating fishes, diving and snorkeling. This is a traditional fishing location that offers visitors some exotic lifestyle. The monkey forest is located in Ubud which is the home of art and dance in the village’s foothills. You can shop in its crafts shops and learn things about the people of Bali from its several museums. The Ulun Danu Bratan Temple is famous and it is located in Bedugul. In this place, you can play golf, visit botanical gardens and spend a beautiful time in the lakes in the mountains. The West Bali National Park is a destination where you can watch birds, trek and dive. If you would want something daring, the Nusa Penida which is a rugged, wild and untamed terrain is for you. Away from these tourists’ attraction centers, there is the Balinese music and dance. Visitors hardly get enough of these dance steps like the lion dance which is called the Barong, a dance where performers wear some fearsome lion like masks that is performed for visitors. You may be fascinated with the Calonarang dance which is spectacular and tells the story of fighting the dark magic and have lots of variations. Ngurah Rai International Airport was formely called the Denpasar International Airport, situated in the southern Bali, about 13 km south of Denpasar. It is smallest International Airport in the world with 285 hectares size. It is named after I Gusti Ngurah Rai, a man who died in 1946 during the Indonesia Revolution. It accommodated 12,780,563 passengers in 2011. This name has increased five folds after this record. There are lots of things you can do in Bali and these activities may keep you in Bali for days which mean that you need a good place to lodge. There are lots of luxury hotels that would suit your needs. Bali is vibrant and exciting whenever you visit. This is the reason why the island has become a popular holiday destination for a lot of tourists. The best time to visit Bali is May to July. This is the period when you can explore the different parts of the island and have the best time of your life in an exotic location like this.